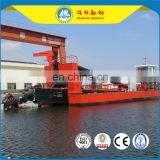 The dredger is a not self-propulsion, hydraulic cutter suction dredger. 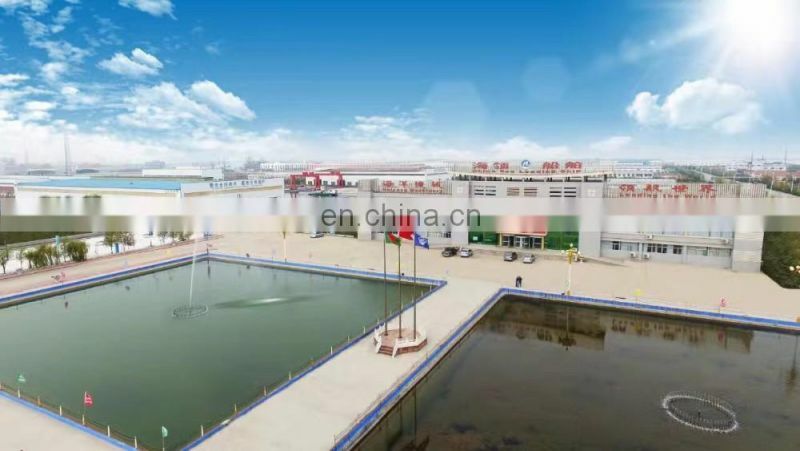 The pontoon part is made up of several boxes. 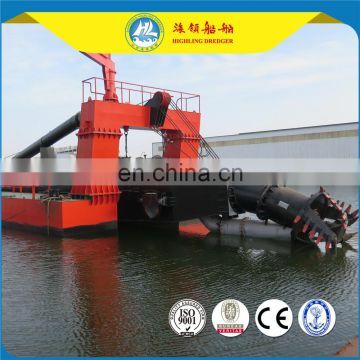 The dredger equipments include sideslip device, cutter up and down device, location spud device, deck crane and so on. 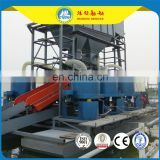 The main engine is an independent entrainment form, one main pump engine, one auxiliary hydraulic engine. 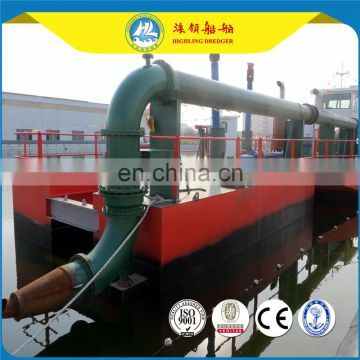 Dredger pump host output belt has clutch reduction function. 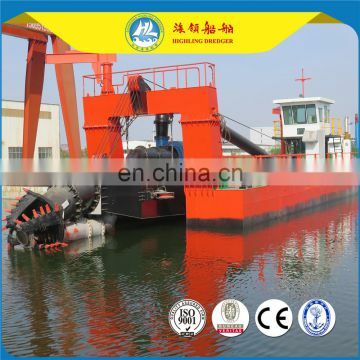 Dredger pump is driven by the main gear decelerating box. Lighting and emergency power for stopping working will be offered by the generator set. 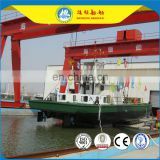 Cutter will be driven by the motor and cutter bearing with lubricating sealing device. Hydraulic pump will be driven by the gear box through auxiliary engine. D/. Dismantled and easy transport. 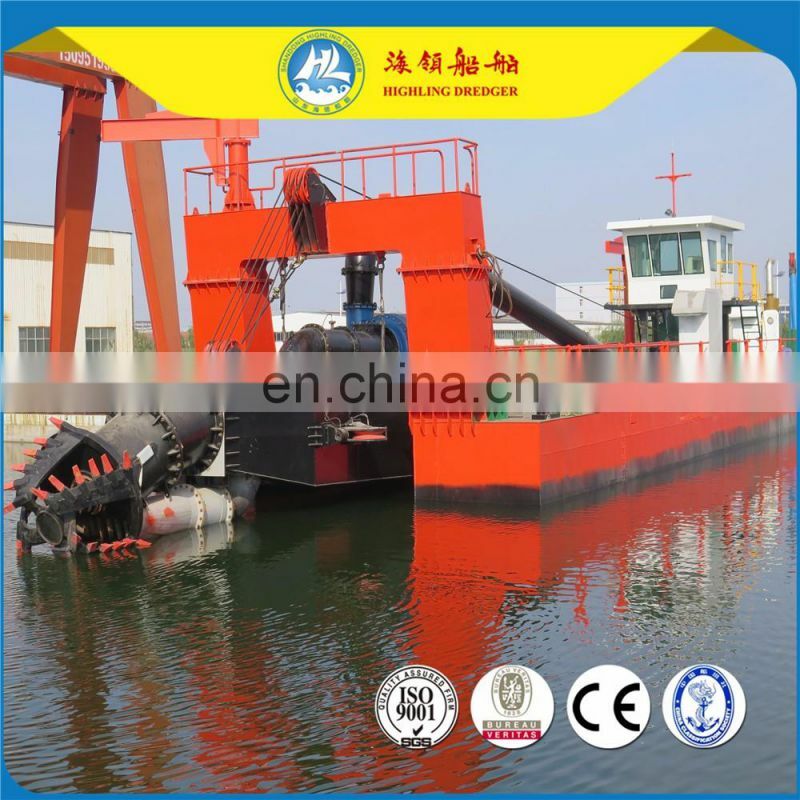 10 inch HL250 cutter suction dredger 1000m³/h with dredging depth 8 meters is working in Egypt for River environmental pollution dredging. The Nile's pollution is very serious, 14 million tons of industrial waste water discharged into the Nile every year, causing increasingly serious pollution of the Nile. Water pollution has affected Egyptians seriously. 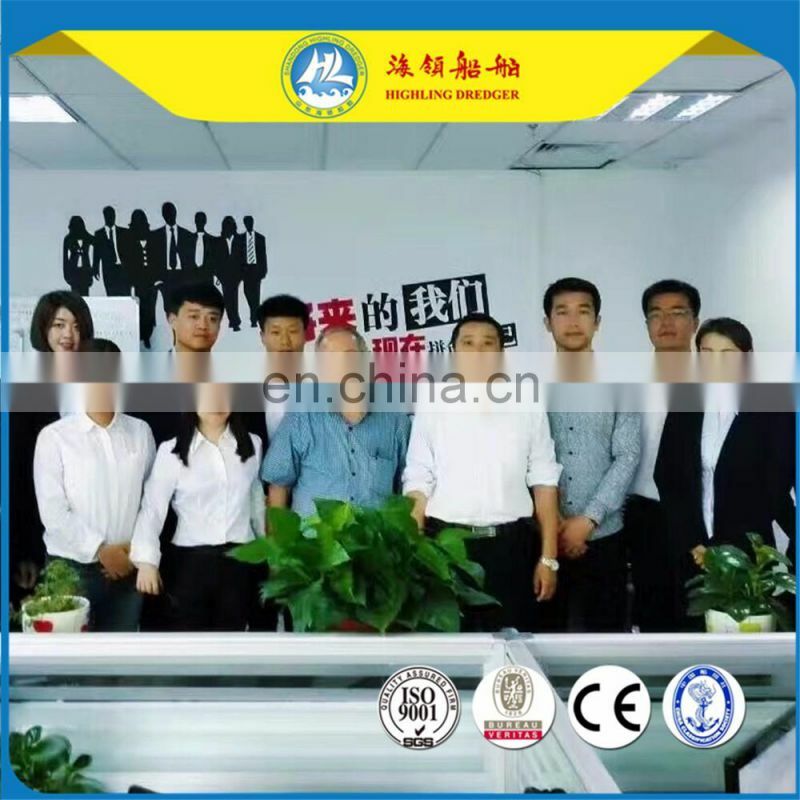 For this, Egypt Government communicate with our company, hope we can recommend reasonable dredging plan and settle river pollution. according to river of width, environment, River bed sediments, We provide a medium model of cutter suction dredger to client. 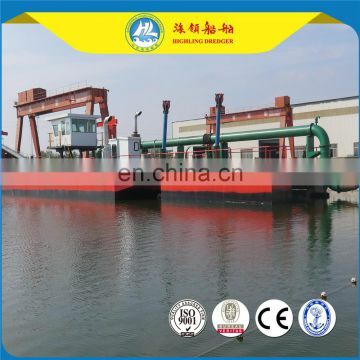 It can guarantee work output volume, and can make dredger to operate convenient freely in water. 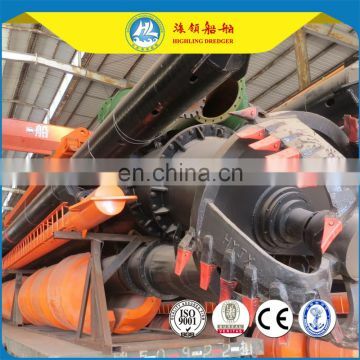 The cutter motor is hydraulic driven low speed and high torque heavy duty design. The cutter motor is mounted on the cutter front piece on the ladder end. A special cover is provided to protect the motor from damage due to sand, rocks and debris. 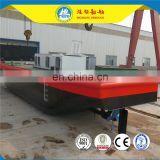 The cover can be removed from easy inspection and maintenance. For hosting the ladder one hoisting winch is provided on the front of the main pontoon mounted on a stiffened foundation. The winch is hydraulically driven through a reduction gearbox build in the winch structure. The winch has a disc brake that is automatically activated in case of pressure drop. The winch is operated from the control cabin and has one fixed speed. 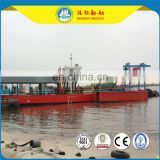 Operation of the sand /mud dredging, Hydraulic and electrical system operating, Running of the dredger’s outfitting equipment.